Offense may win games and, yes, defense may win championships — but let’s not forget about the value of good goalkeeping. With FC Barcelona safely among Europe’s elite eight following last week’s 3–0 (4–1 agg.) KO of Chelsea in the UEFA Champions League round of 16, the team’s two netminders — the German Marc-André ter Stegen and the Dutchman Jasper Cillessen — have conceded just 22 goals on the season, and now boast the Old Continent’s top combined numbers across all competitions among those still alive in the tournament. None of the other seven teams left in the Champions League — Real Madrid, Juventus, Manchester City, Liverpool, Bayern Munich, Sevilla, and Barça’s quarterfinal rival, AS Roma — have surrendered so few goals this season in all competitions. Juventus, long known for its stingy defense, comes closest, with 26 goals against, four more than the blaugrana juggernaut. Ter Stegen, not surprisingly, has the best save percentage in the Champions League among the teams still alive: 0.894. And in La Liga, where Ter Stegen has given up just 13 goals in 29 games, he has also recently overtaken Atlético’s Jan Oblak in the running for the Zamora Trophy, which is given to the La Liga goalkeeper with the lowest goals-to-games ratio. But while Ter Stegen has played the lion’s share of minutes this season in goal for Barça, Cillessen has done just as well in his nine games played, giving up just two goals, both in the Copa del Rey. 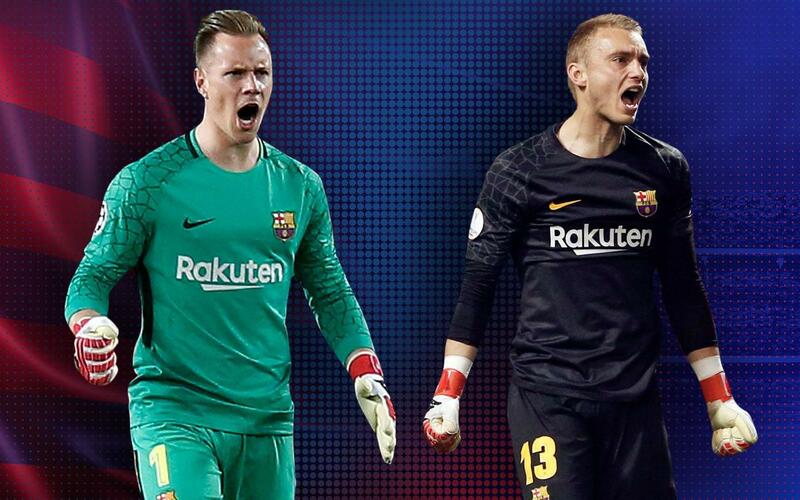 In total, Ter Stegen and Cillessen have combined for 30 clean sheets in 47 games played so far this season: 23 shutouts for Ter Stegen — tops in Europe — and 7 for Cillessen.